You know what I love? Fried okra. You know what I hate? Frying things. This oven fried okra recipe is the best of both worlds: all the flavor of frying okra without the mess. 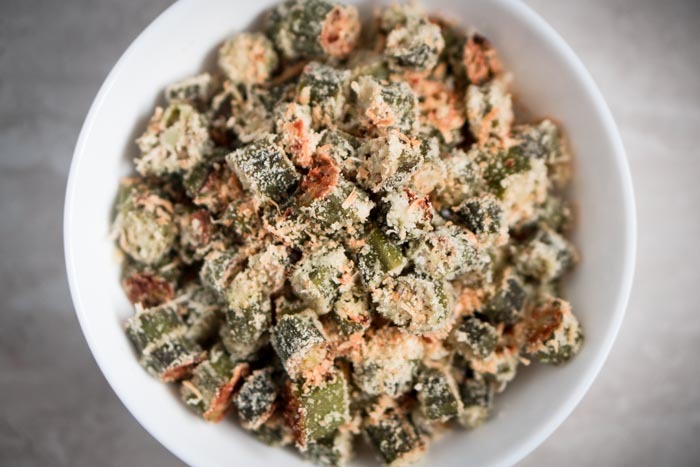 Add in the fact that it’s low carb and gluten-free, and this keto friendly okra recipe is damn near perfection in my book. 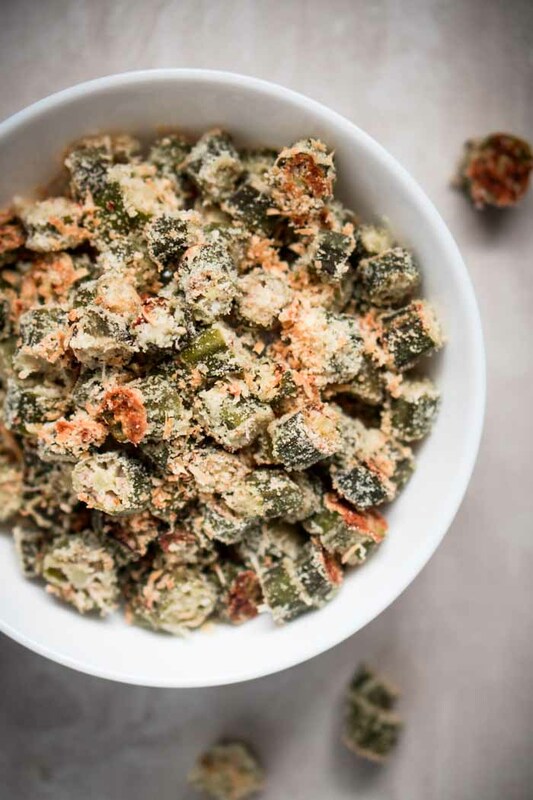 This oven fried okra recipe is infinitely healthier than it’s traditional Southern fried counterpart. 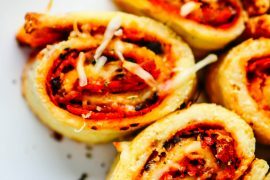 Almond flour and Parmesan cheese replace the typical breading. Since it’s made without cornmeal or breadcrumbs, the carbs are kept low, and the oven fried okra is entirely gluten-free. Instead of going the fryer route, we save ourselves some extra calories, grease, and oil splatters, by popping it in the oven to get that nice crispy texture. Rinse your okra well, then chop it into small, bite-sized pieces. Once you cut the okra, it will become a bit sticky and slick, similar to an aloe vera plant. This works out perfectly because we don’t have to use anything fancy to get the low carb breading to stick to it. I like to salt the okra after it’s been cut and let it hang out for a few minutes, this seems to help form a moist, sticky coating. 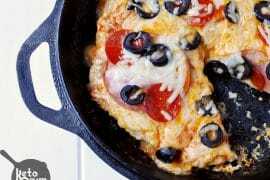 In a bowl, combine almond flour, finely grated Parmesan cheese, pepper, and a smidge more salt. Toss your chopped okra in the mixture and roll the pieces around to coat each side thoroughly. Place the coated okra on a baking sheet or casserole dish and bake for 40 to 45 minutes at 350 degrees Fahrenheit, stirring every so often. The oven-fried okra is done when it’s nice and crispy. 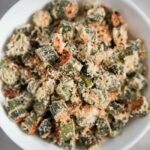 If you love okra, but don’t care for the breaded and fried variety, check out my roasted okra fries instead! 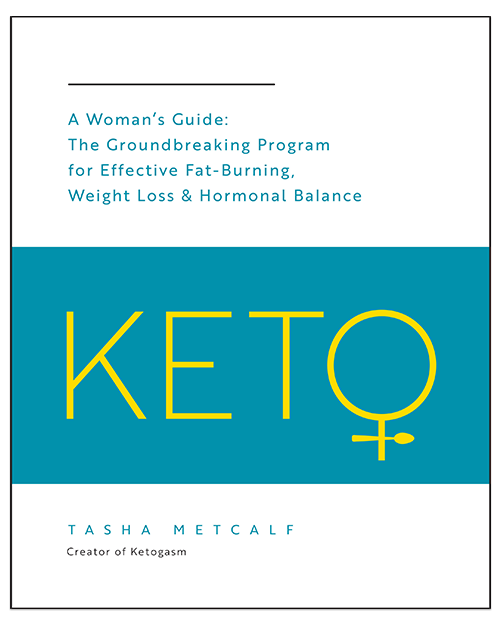 Looking for more low carb keto friendly fried foods? 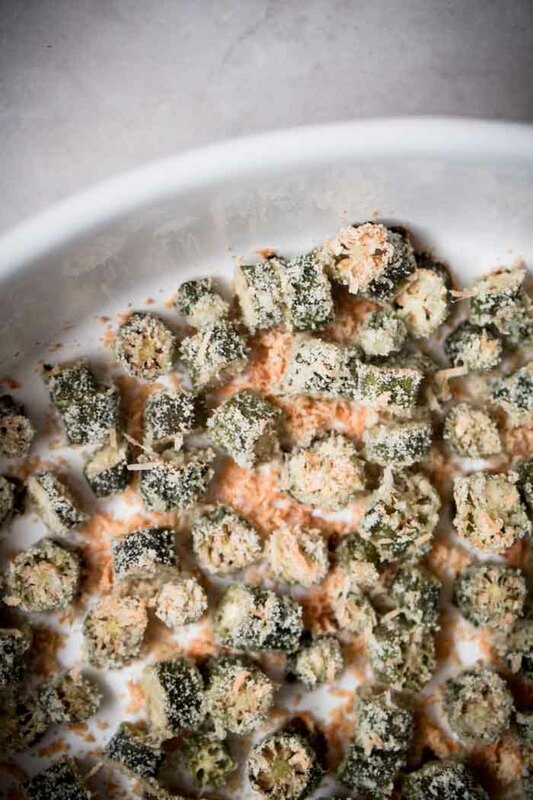 Fried okra with a healthy twist: baked, low carb, and gluten-free! Wash okra, then chop into bite-sized pieces. Toss with salt and let rest for several minutes. The okra will become sticky and moist, which allows the breading to stick well without additional ingredients. 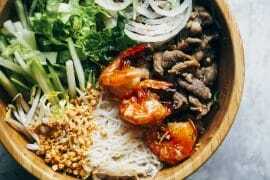 In a medium mixing bowl, combine almond flour, Parmesan cheese, pepper, and salt to taste. 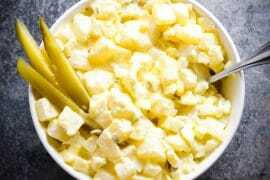 Coat okra pieces in the mixture and place on a baking sheet or casserole dish in a single layer. Bake for 40 to 45 minutes, or until okra becomes crispy, stirring occasionally. Will this work with frozen okra? I don’t have fresh available near me. I tried a similar recipe to this one using the plain frozen okra. I thawed it the microwave on the defrost setting. 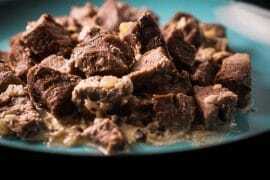 You should be able to do that with this recipe and proceed with the salting step and allow it to set before coating it. The recipe I used was for pan frying and didn’t have Parmesan cheese in the coating. I did have a little problem with some of the coating coming off. I am anxious to try this one in the oven to see if it comes out more crispy. I love this okra recipe! 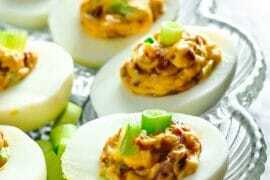 I do add a little olive oil and Tony Chacheries, it’s a southern thing.